For measurement of total sunlight and for use in outdoor locations we offer the silicon cell Pyranometer, A very popular and cost effective sensor, which is calibrated against a WMO Secondary Standard Thermopile. Output is proportional to total solar energy in watt.m-². The Pyranometer is the main light sensor on an automatic weather stations, as it indicates the amount of total sunshine. It is also used by Solar Panel installers to check outputs from the solar panels. 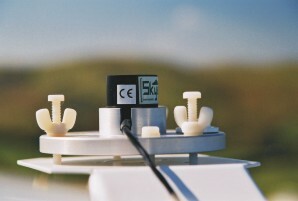 Skye can also supply dedicated Weather Stations for Solar Farms. As well as the Pyranometer and the traditional weather station sensors, these stations incorporate surface temperature sensors for attaching to the solar panels.